I participated in an Influencer Activation Program on behalf of Influence-Central for Kohl's. I received a sample to facilitate my review and a thank you item for participating. If you have kids at home you are probably well-versed in the world of Frozen. More likely than not, you know every word to the hit song ‘Let it Go’ too. This movie has become a world-wide phenomenon, and captured the hearts of both the young and old. My daughter included. She’s been a mega fan ever since the release last year. We’ve watched the movie together countless times and have belted out the famous lyrics to the songs just about everywhere. I call her my little Broadway star, because she is not shy when it comes to singing her heart out. In fact, I recorded this little gem the other day in the car. Don’t delay! Finalists will win a 5 day/ 4 night trip to Hollywood to film the Kohl’s commercial to air during the AMAS!! How cool!! Also, don’t forget to check out the Disney Jumping Beans Collection at your local Kohl’s store. 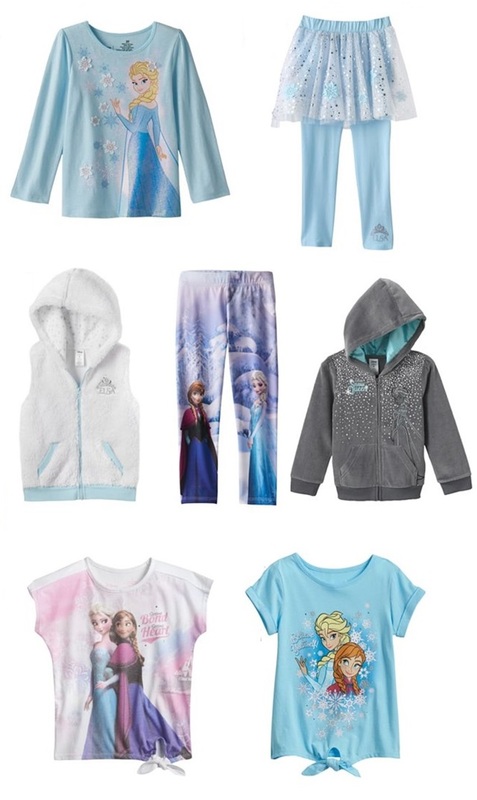 They have an adorable selection of apparel for Anna and Elsa fans, including graphic tees, long sleeve tops, tutu leggings, hoodies, and vests. I’ll be picking up a few items soon myself. Happy shopping!